City Farmhouse Style on OPRAH.COM! The author of City Farmhouse Style on how to choose the right shade of this popular hue to match your space. If you are considering "just plain white," then you are among the majority of both amateur and professional home designers who look to this pure and simple color as a favorite choice. Thanks to the popularity of white paint in home decorating, manufacturers have cleverly concocted an ever-growing range of choices; in fact, the sheer variety of shade and tints sometimes make selecting the best one for your space a real challenge. Spin the white color wheel and you'll discover there's just the right white for creating almost any mood. 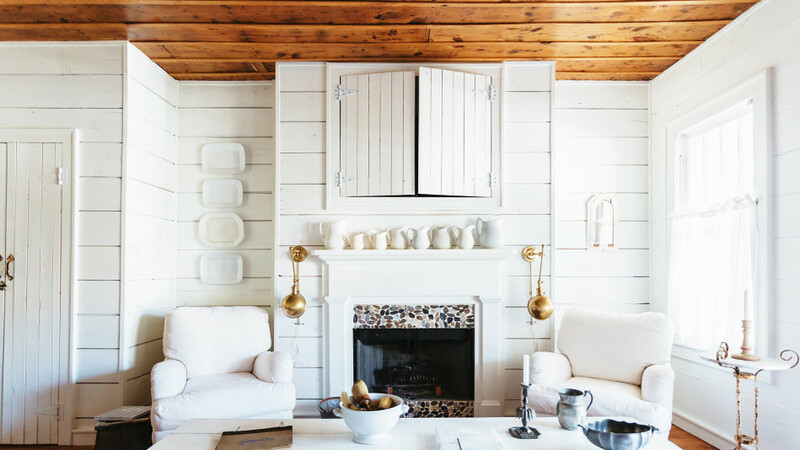 But before you grab a bucket and whitewash the entire house here are a few things you should know about this well-loved hue. If you have large windows and lots of strong light, tone down the brilliance with a gray white (like Valspar’s White Pepper) [above, #3]. Likewise, if you have a room that gets little sunlight, a simple white paint (like Sherwin-Williams’s Pearly White or Benjamin Moore’s Simply White) will optimize the light. Painting a room bright white and filling it with all-white furnishings and accessories can feel too sterile. Opt for a creamy white (like Valspar’s Dove White) [above, #1] instead. For kitchens, ivory (like Benjamin Moore’s Ivory White) provides just the right warmth. It looks like pure white without feeling cold. For a room that is large and rustic, off-white (like Benjamin Moore’s Snowfall White) is a warm and inviting choice. Because white amplifies light, it has a natural ability to maximize space, making a small room or home seem larger than it really is. The brightest of whites (like Valspar’s Ultra White) [above, #4] will do the job here. It is also ideal as a clean, uncluttered canvas for artwork, antiques, and gallery displays. Choose an organic tone (like Benjamin Moore’s Classic Gray) as a backdrop to highlight textures, including weathered wood and stone, and for kitchens with concrete countertops. The good news is that blue is a perfect farmhouse color, too! And when you paint your porch ceiling with this cool color, it works double-duty to shoo away the haints (or so the legend goes). A haint is a spirit or ghost who has yet to move on to their final resting place. According to old-timers, haints believe the color blue is water, and since they cannot cross water, they are fooled into staying away. Many regions have their own version of the spirit- deterring "authentic" Haint Blue—hues range from light to dark blue and include some with strong hints of green, depending on the place you call home. But whether you want to protect your home from the elements or the spirits, go with the blue that is the most pleasing to your eye. We're hanging out with the Junk Gypsy's during Antiques Week, Y'all!